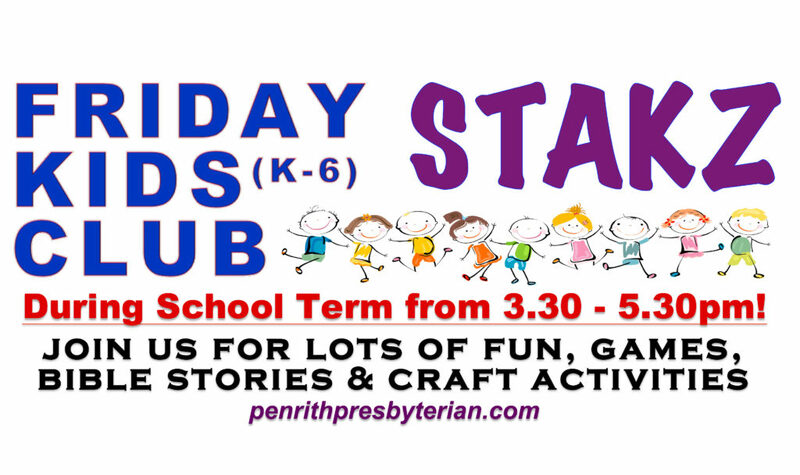 An after-school activity for kids, called STAKZ, is held EVERY Friday afternoon from 3.30pm until 5.30pm DURING SCHOOL TERM in our church hall at Doonmore Street, Penrith. STAKZ kids’ club resumes for 2019 on FRIDAY, 8th February. All boys and girls in Years K to 6 at primary school are WELCOME! CRAFTS … BIBLE STORIES … FUN and GAMES!